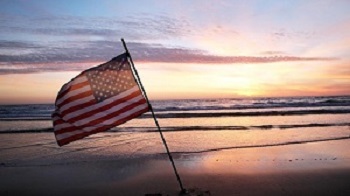 June 6, 2014 marks the 70th Anniversary of D-Day. In Normandy, nearly 10,000 tombstones overlook Omaha Beach and is a stark reminder of the men and women who challenged Hitler's Fortress Europe and fought for the freedom of all. Local resident, Peter Fantacone, US Navy Veteran of WWII, participated in the Invasion of Normandy and landed on Omaha Beach on June 6, 1944 with Coast Guard Flotilla 10 aboard USS LCI 492. The Atlantic County Library System is honored to have him share his vivid recollections of that day and help him with his goal to "keep alive the memory of all those who died." Laurien Berenson’s A Pedigree to Die For. The global reading event will run from June 3-18, 2014 just in time for summer. Kensington Publishing has graciously provided the first book in the Melanie Travis mystery series so that millions of readers from around the globe will have the chance to simultaneously discover this captivating world Berenson has created. Download and enjoy the eBook on all major computers and devices, including iPhone®, iPad®, Nook®, Android™ phones and tablets, and Kindle® without worrying about wait lists or holds. 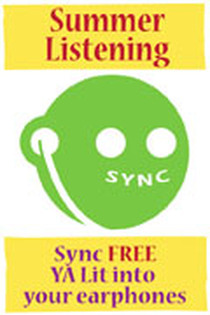 SYNC is a literacy program that gives away two complete audiobook downloads –a current Young Adult title paired thematically with a Classic or Required Summer Reading title– each week. In 2014, 26 titles will be given away over 13 weeks starting May 15th through August 20th. SYNC is dedicated to introducing the listening experience to the young adult audience and demonstrates that Required Reading can be completed by listening. While focused on Young Adult literature, featured Sync titles can be downloaded and enjoyed by all ages. Titles are delivered through the Overdrive Media Console, the same program/app used to listen to, and read, many of the titles in the Atlantic County Library System's Overdrive eBook & eAudiobook collection. Go to the SYNC website for more complete information and instructions. *Rather read the books? Search our catalog and get your copy today. The Learning Express database offers the practice tests, exercises, skill-building courses, and information you need to achieve your educational and career goals. Accessible from any location via our System’s database webpage, Learning Express helps traditional and adult students build their knowledge in math and science as well as help improve reading, writing and speaking skills. This free database, offered to you through the Atlantic County Library System, contains job-related testing resources and tools to help you study for school exams and occupational exams. Many of the resources are also provided for in Spanish and access is just a log in away. Occupational Testing: Allied Health, Air Traffic Controller, Civil Service, CDL, Cosmetology, Culinary Arts, EMS, Firefighting, Homeland Security, Law Enforcement, Postal Worker, Nursing, Teaching. In addition, interactive video tutorials are available for computer and internet basics and provides tutorials on Windows and Mac Operating Systems, Microsoft Office and Adobe software. Then, when you are ready, use the Job & Career Accelerator to prepare for an interview and learn to build resumes and cover letters. 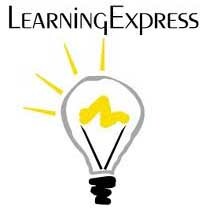 Note: Learning Express has been updated as of June 2014. If you are a returning user, and experiencing problems logging in, you may need to reregister. The New Jersey State Department of Education (NJDOE) privatized the High School Equivalency exam (HSE) and has changed the testing requirements for a state issued high school diploma. Formerly the “GED,” the testing now needed to assess High School level skills in New Jersey is the Test Assessing Secondary Completion (TASC). Initiated to meet the new High School Core Curriculum Standards, TASC assesses five subject areas including Reading, Writing, Mathematics, Science, and Social Studies. Administered at the Atlantic and Cape May County One Stop Career Centers, the cost for the initial exam is $92.00, which includes two subject re-tests at $10.00 each. Test takers may prepare for the test, at no cost, by visiting their local One Stop Career Centers or using physical and digital materials and online resources provided by the Atlantic County Library System like Learning Express. Suggested for tweens and teens. Registration requested. Join us for pizza and a movie. Please advise staff of any food allergies. Sponsored by the Atlantic County Library Foundation. Open to adults. Registration required & begins 2 weeks before each session. Space is limited. Participants must be experienced using the mouse and keyboard. Learn how to create and format resumes. Registration required. Open to all.Tour our eBook collections and learn how to download & access eBooks, digital magazines, listen to free streaming music & much more!